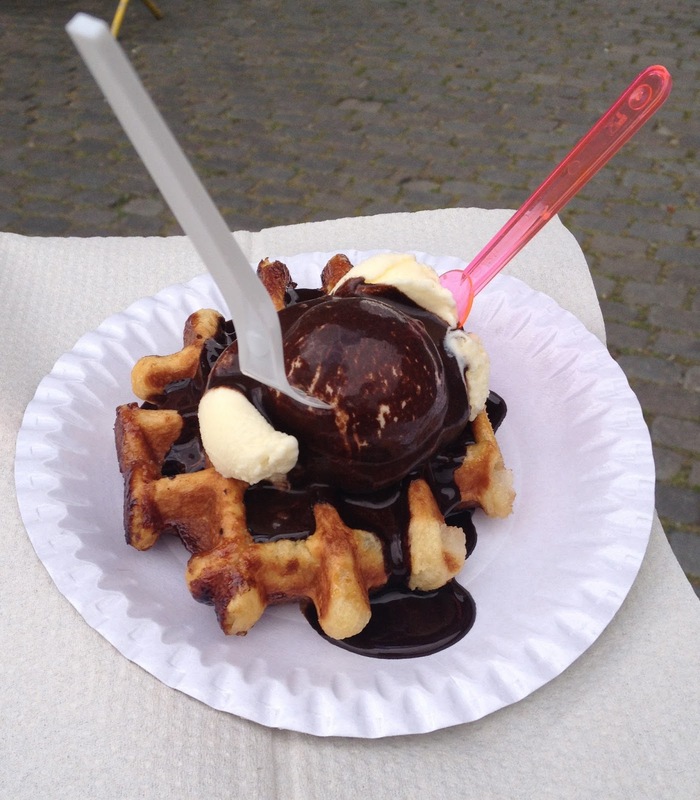 Beer, Waffles and Chocolate. 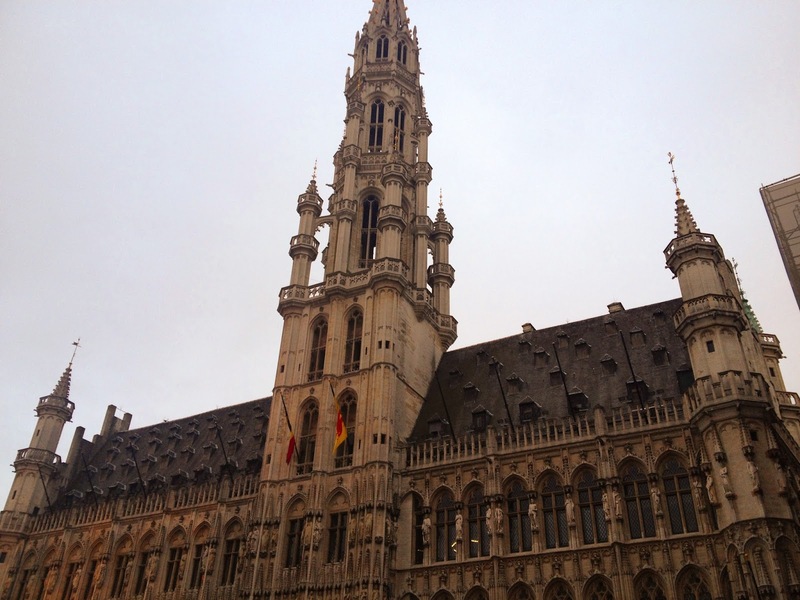 A long weekend in Brussels! 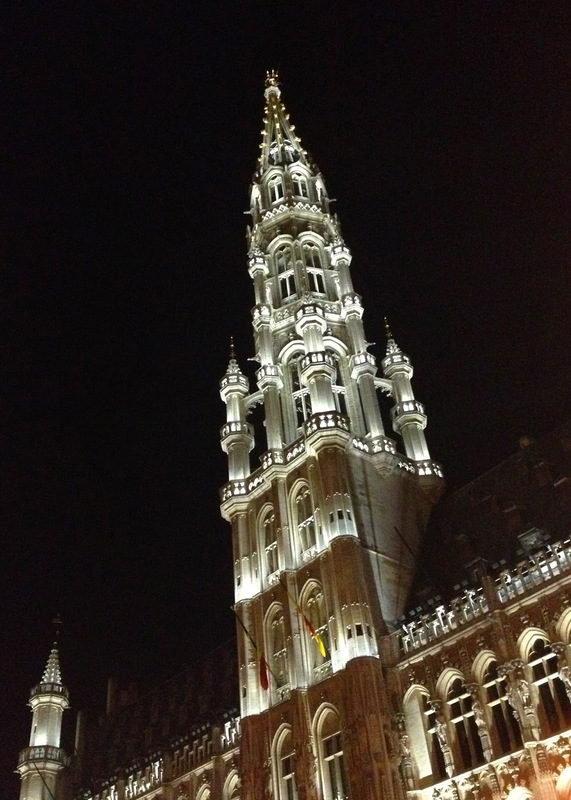 “Have you ever been to Brussels?” I was asked by a friend. “No, me neither. Should we go?” That was the premise for a long weekend in the Belgian capital. Armed with my passport, boarding pass, bus ticket & map to the hotel, I set off knowing very little about what to expect from the city. 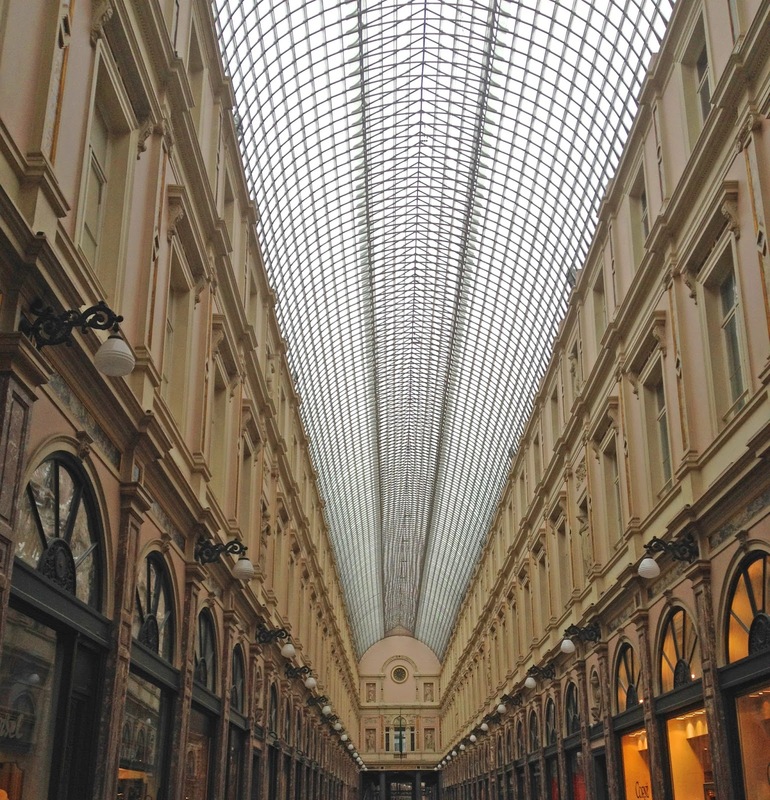 Brussels is served by two main airports: Brussels Airport (located just outside the city) and smaller Brussels South Charleroi Airport (located around 30 miles South of the city). My flight from Glasgow to Charleroi came in at under two hours and soon I was heading out of the terminal to pick up my bus transfer to the city. It’s a small airport so walking out of the terminal and turning right, the bus was easy to find. (It’s useful to book this ahead of your trip, it costs around €14 each way and takes around an hour dropping you at Bruxelles Midi train station). I was initially concerned when I left the bus at Bruxelles Midi that I might struggle finding my hotel in a foreign city. With no real plan I stood at the station exit and looked at my map to begin planning my route. As I looked around for a familiar landmark that related to the map, I caught sight of the red and gold of my hotel name “Royal Windsor Hotel (now rebranded as the Warwick Hotel)” and realised that it would be much easier than I thought. 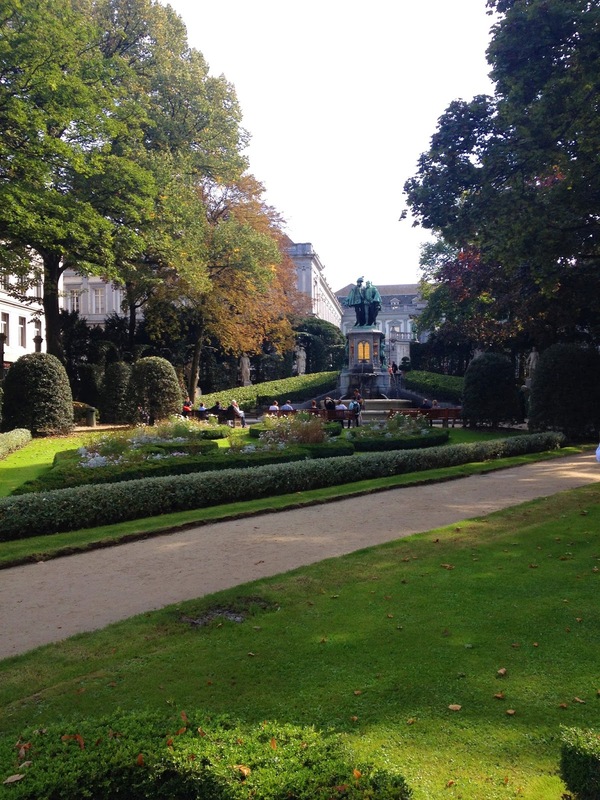 In our first few hours in Brussels, we seen a number of the main sites almost by accident. Taking the usual approach of ‘let’s go and explore’, we found ourselves stumbling across the stunning Grand Place (Brussels Main Square, housing the town hall) – one of the truly impressive main squares in Europe – and interesting street art of Tin-Tin (one of Brussels’ most famous sons) before settling in to a nearby terrace to enjoy some lunch. We found the majority of people spoke English, but we were also able to communicate with some basic French knowledge which seemed to be appreciated. Into the afternoon, we set off in search for one of Brussels most famous sites, the Manneken Pis by heading down the small street to the left of the Town Hall. We decided it best to keep an open mind regarding a statue of a young boy relieving himself into a fountain, but even so, were slightly underwhelmed when arriving at the small, bronze statue. Like the Mona Lisa in Paris, or Big Ben in London, the statue is surrounded by crowds of people, cameras in hand. There is however a feeling of confusion over what seems to be an underwhelming landmark. 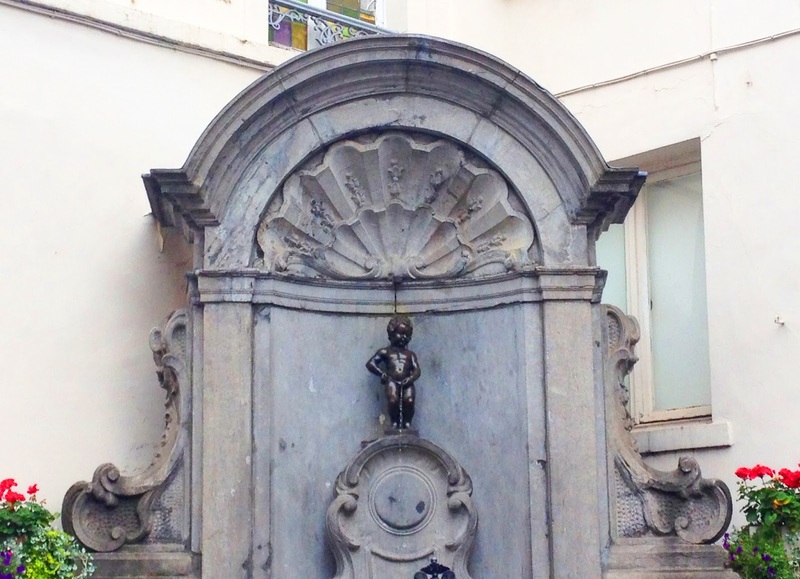 Manneken Pis – Certainly unusual! 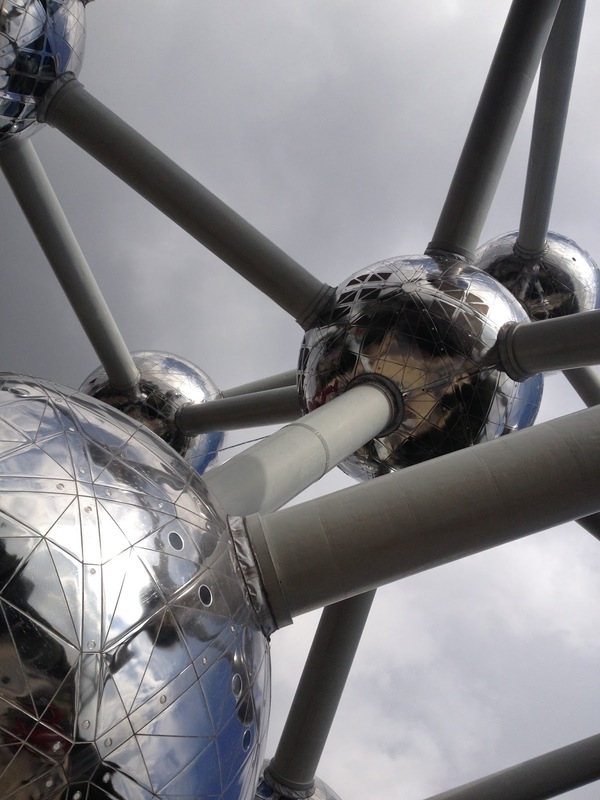 Into our second day, it was time to seek out arguably the most famous landmark in Brussels, the Atomium. On the walk up to the structure, it is perhaps one of the more unusual of tourist sites. A huge silver model of an iron cell is unlike anything I’ve ever seen. The 102m structure was initially built for Brussels’ Expo 58, or World’s Fair, an event to showcase a nations achievements. 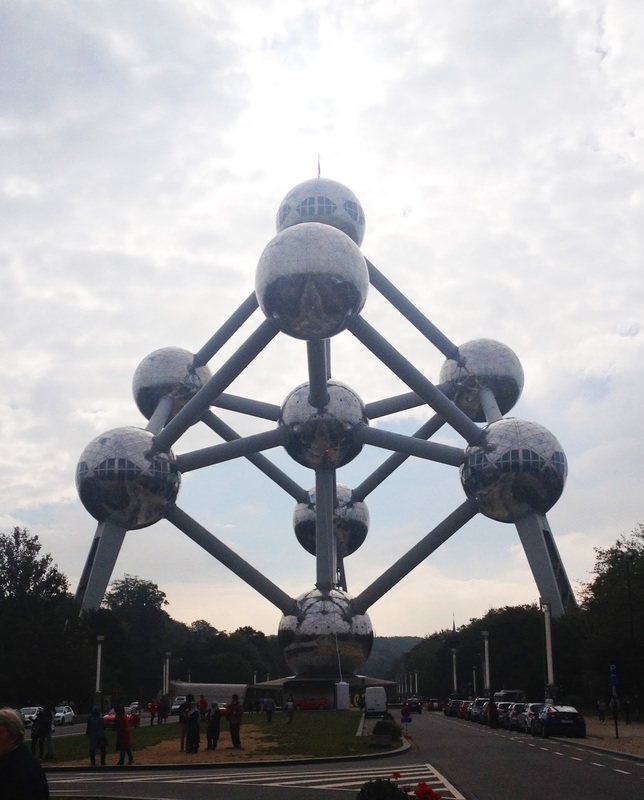 Five of the ‘spheres’ are open to the public, housing various exhibitions including the history of the Atomium. On the top sphere, there is a panoramic level offering stunning views of the city and also a restaurant. Losing any risk of being a tourist gimmick, the visit was both interesting and impressive and definately worth a trip (tickets were around €12). 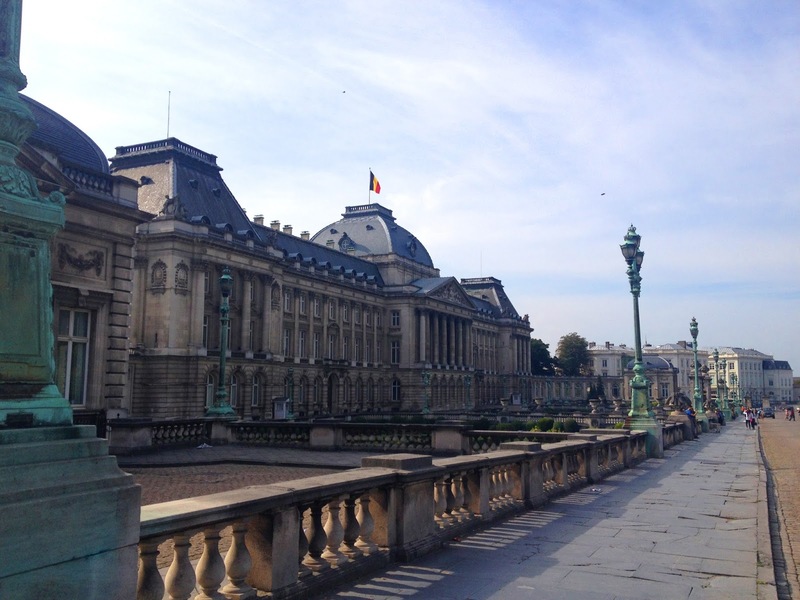 Royal Museum of Armed Forces and Military History (Tickets €5, worth taking a walk up to the top roof level for excellent views over the city. 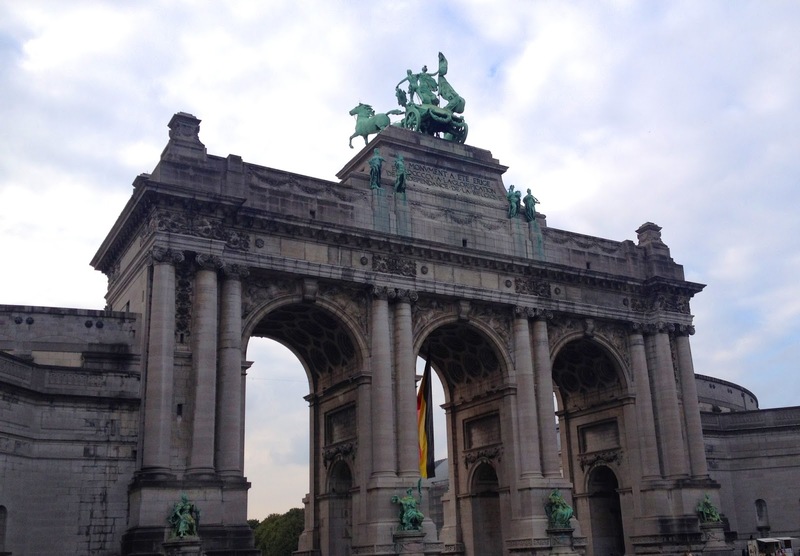 In front of the museum there is the Parc Du Cinquantenaire). but there are also museums catering to the interests of comic strips, trams, food, beer, toys and many, many more. 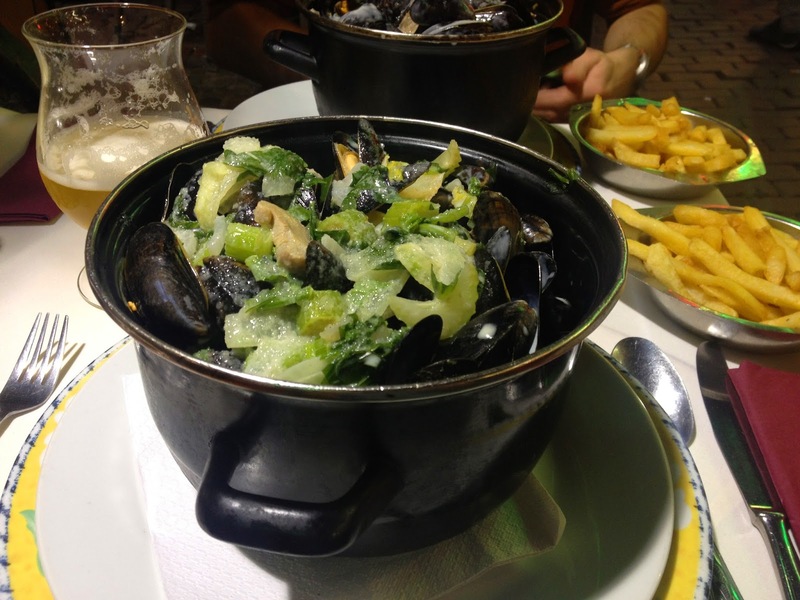 Stopping to eat in a terrace one evening gave the chance to try one of Brussels national dishes, Moules-Frites, or Mussels and fries. I had never tried before and I figured “Mussels in Brussels” was the way to do it. I became slightly worried at the size of the pot of Mussels placed before me (well over 1kg worth), but was soon happily at work in a mass of fries, shells and garlic sauce. 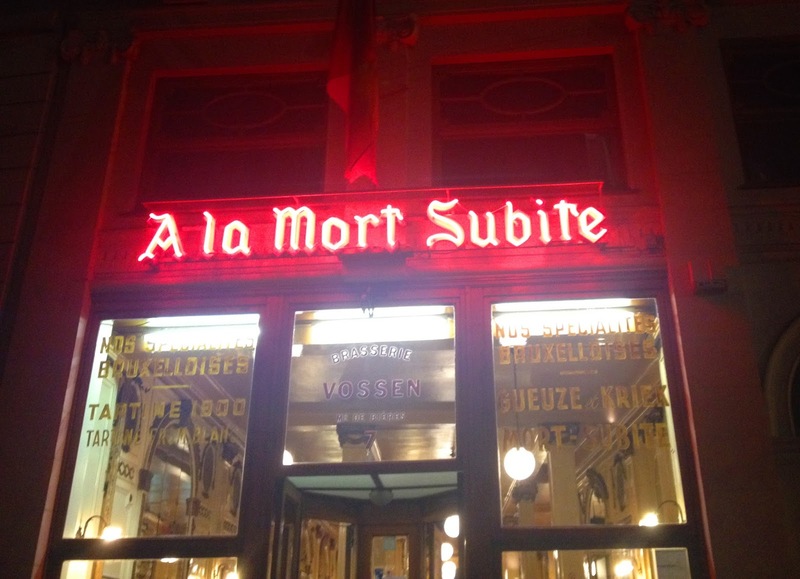 A top culinary experience! 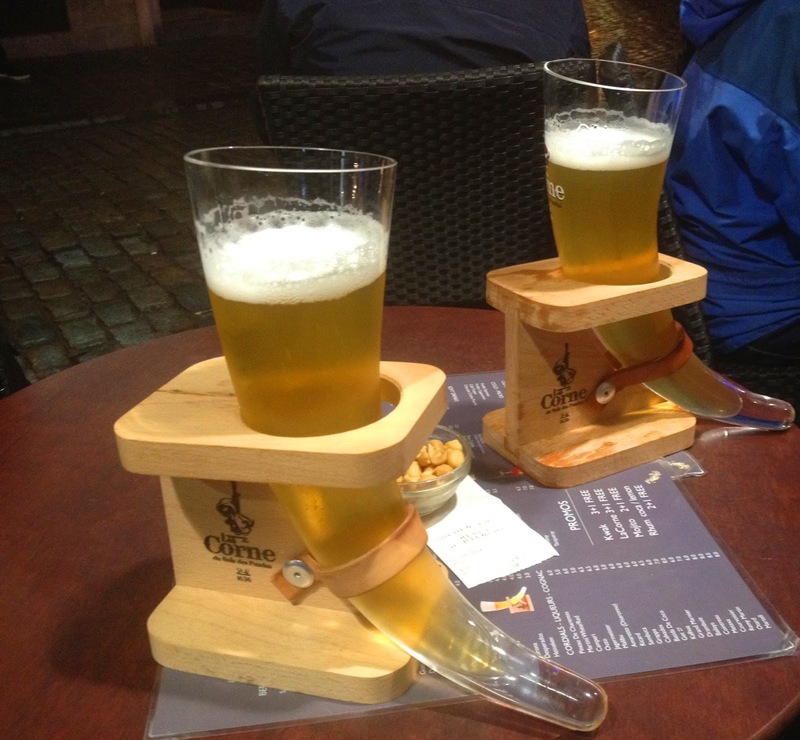 This trip to Brussels allowed for some of the best beer drinking experiences I’ve had. With a huge selection of beers available (sometimes with the glasses being as interesting as the beers) there is something for every taste. 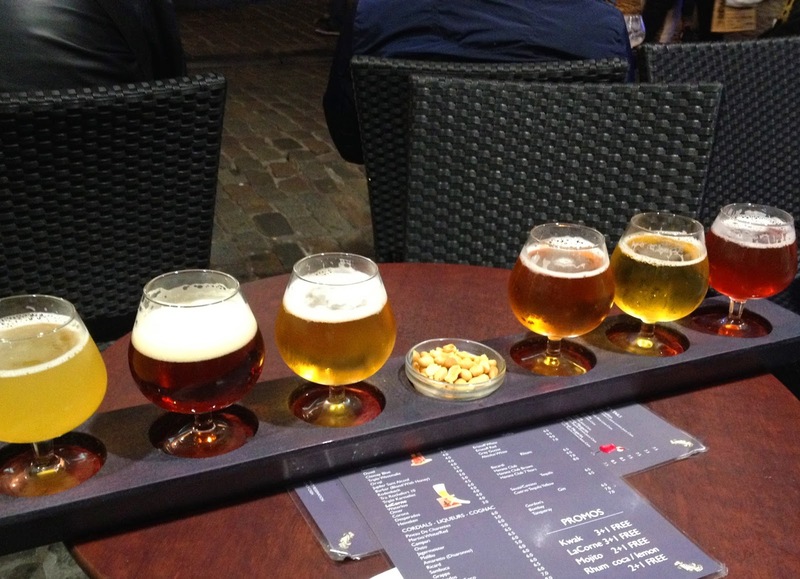 Some favourites were beers by Trappistes, Delirium, and Westmalle. 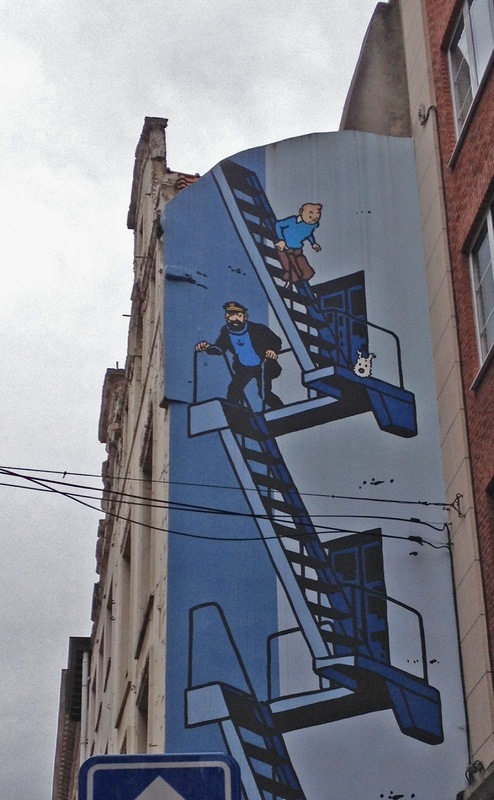 Brussels is a great city to simply walk around. 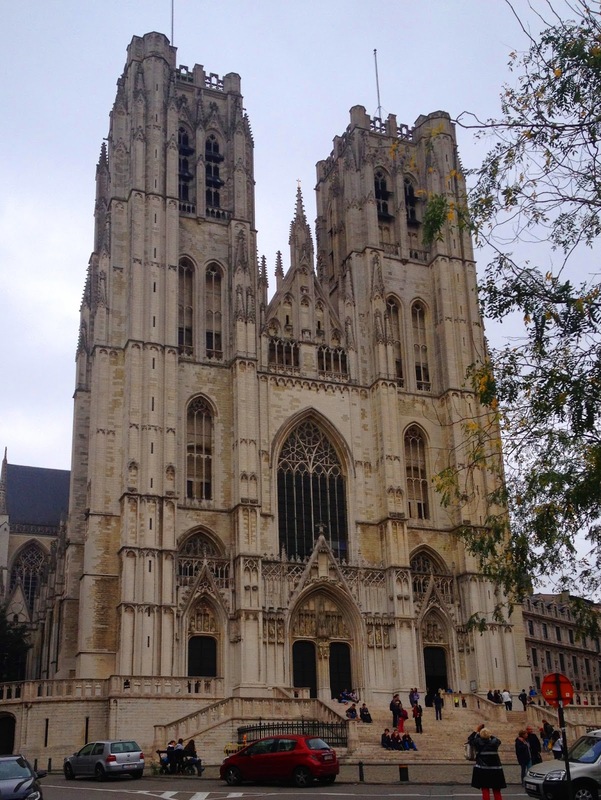 I would highly recommend an afternoon stroll starting at the Grand Place through Les Galeries Royales Saint Hubert (a glass-roofed alleyway of shops & coffee shops – the perfect place to grab a coffee and people watch), past the Cathedralis SS Michaelis et Gudulae (St Michael and St Gudula Cathedral) and ending in the Jardin du Petit Sablon. 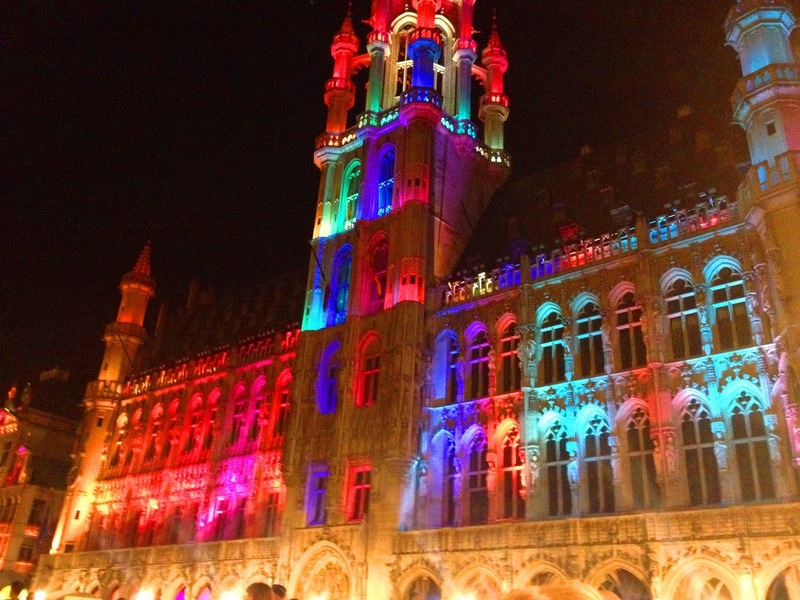 On our final night, we were treated to a light show in the Grand Place. We took our seats (beer in hand) at a terrace in the square and watched as multi-coloured lights were projected onto all of the buildings in the square in time to music. A nice send off for our final night. Before I set off to Brussels, I worried that there might not be enough here to keep me interested and to fill the time (I spent 2-3 days here). Having loved the food and drink here (especially the beer) and realising there is a lot more here than I thought, I might just be packing my bags and heading back here for another trip.